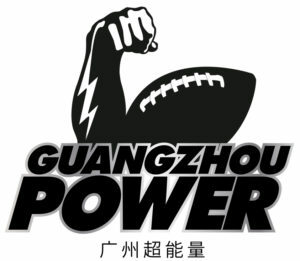 featuring teams from 6 major mainland cities. Previously announced, and introduced along their team nicknames and official logos, we though you might like to know the thinking, background and symbolism behind each. Statues of guardian lions are seen throughout the nation dating back to ancient times. Imperial palaces, tombs, temple, government offices and the private homes of important leader and the wealthy date back to the Han Dynasty (206 BC – AD 22) and were believed to have powerful and mythical benefits. 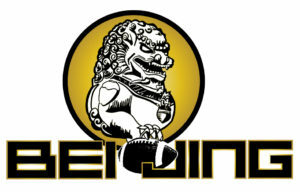 The gold color used in the logo represents good fortune, wealth and power, all traits linked to the capital city of Beijing. Pretty self-explanatory at the surface. Shanghai’s skyline may be the world’s most modern and famous, symbolic of China’s ascendance in the modern era. 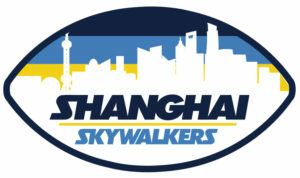 But look deeper to the colors inside the logo as they transition from yellow (land) to light blue (the sea) to dark blue (night sky) representing the cities transformation from a seaport and trading center (Shanghai means “Upon the sea” ) to emerge as China’s most populous city steeped in financial and global business. The third of China’s Big 3″ cities of population and power, Guangzhou has exploded in the modern era as the economic and commercial center of the southern region. The Pearl River Delta region counts some 44 million residents. This is a true modern transportation marvel, with links to all major mainland cities as well as nearby Hong Kong and Macau. 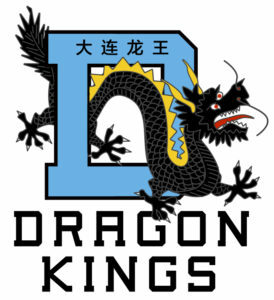 Given the location, the basic black colors of the team and logo corresponds to water in ancient Chinese lore, with black viewed as the color of heaven. 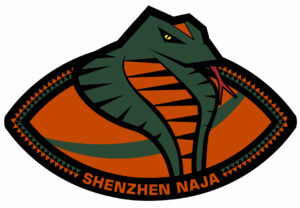 The Naja is a variety of the venomous cobra, with this strain found in southern China. The bright colors of the logo represent the local climate with the original look of the local terrain prior to radical changes to the city in the modern era, and its designation as a Special Economic Zone. Dalian’s name springs from its roots as a small fishing village. Dalian, loosely translated, means “blue mud swamp.” As the city is located by the Yellow Sea, the color combination of blue and yellow is appropriate. Now a major seaport and rapidly expanding city, the Dragon Kings represent a deity in Chinese mythology widely regarded as the divine ruler of the oceans. The jaunty palm-lined city is filled with home and buildings topped by red ceramic tile roofing. 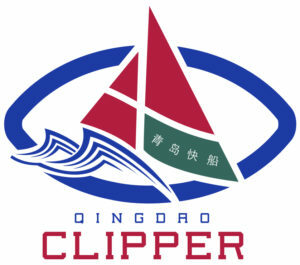 The Clipper in the logo is perhaps the most modern character in the team logos, with the possible exception of the Shanghai skyline.